Our quick listing is below. Find our Tournaments page here. 8 Teams per division/ 3 games played. Early bird pricing if registered before April 1st. Saturday - Grades 3/4 & 7/8 (A&B Divisions) as of '16/'17 school year. Sunday - Grades K-2 & 5/6 (A&B Divisions) as of '16/'17 school year. Saturday - Grades K/2, 5/6, and Varsity. Sunday - Grades 3/4, 7/8, JV. Part of the proceeds are going to the More Than a Game Foundation. Friday night - Kindergarten division, and 1/2 division. Saturday - 3/4 through JV divisions. For 2027, 2026, 2025, 2024, 2023, 2022, 2021, and 2020 classes. FAYETTEVILLE, N.Y. — Aggressive defense was the name of the game for the Fayetteville-Manlius boys lacrosse team this afternoon in a 8-7 non-league win over Pittsford. Fourteen great photos by Scott Schild. Other North Country men's and women's college highlights and scores. Canton, NY – Molly Denny (South Jefferson) scored four goals as the SUNY Canton women's lacrosse team was stifling defensively in a 14-4 non-conference victory v. Medaille College on Saturday. FREDONIA, N.Y. -- Fredonia closed out the home portion of the 2019 women's lacrosse season with a 13-12 SUNYAC win Saturday over Plattsburgh. FAYETTEVILLE, N.Y. — Despite a five-goal deficit early in the second half, the Fayetteville-Manlius girls lacrosse team bested Pittsford 14-13on Saturday in a non-league contest. Annie Steigerwald scored on free position shot with 16.1 seconds remaining in the game to the give the No. 5 state-ranked Hornets lead and the win. ROCHESTER, NY -- The No. 2 RIT (15-1, 7-0 Liberty League) men's lacrosse team secured a first round bye in the Liberty League Tournament with an 11-7 win over No. 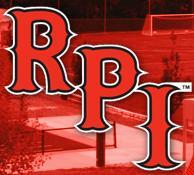 19 St. Lawrence University 11-3, 4-3 Liberty League) in Liberty League action Saturday afternoon. It was nearly a perfect night for the Buffalo Bandits. Not only did they have a complete performance in the 12-6 win over New England, but they got the help they needed in order to clinch the No. 1 overall seed for the playoffs. The No. 9 Syracuse men's lacrosse team (9-3, 2-2 ACC) couldn't have asked for a much better way to end the regular season, dominating Navy (5-7, 3-4 Patriot League) in every way Saturday night, defeating the Midshipmen 18-9. VESTAL, N.Y. - The Binghamton men's lacrosse team (1-11, 1-4 AE) defeated Hartford (4-10, 2-3 AE) at home on senior day Saturday evening at the Bearcats Sports Complex. GENEVA, N.Y.-The William Smith College lacrosse team defeated Rochester 13-0 in a Liberty League contest on Boswell Field at David J Urick Stadium this afternoon. With the win, the Herons have now won their last 12 straight games and are 14-2 overall and 9-0 in Liberty League play. GENEVA, N.Y.—The Hobart College lacrosse team earned an 11-8 Northeast Conference win over Mount St. Mary's University on Boswell Field at Urick Stadium to move into a tie for first place in the league standings. The Statesmen improved to 10-3 overall, 4-1 in the NEC. The Mountaineers had their five-game winning streak snapped and slip to 8-6, 4-1. UTICA, NY- The Utica College women's lacrosse team had plenty of reason to celebrate Saturday. For starters, it was Utica's senior day honoring the eight members of the class of 2019. More importantly, the Pioneers picked up a 19-2 win over visiting Elmira College in Empire 8 Conference action. Senior Stephen Panno (Holtsville/Sachem East) celebrated his last home game by having a career day scoring nine goals to lead the SUNY Oneonta men's lacrosse team past Potsdam 18-7. The nine goals for Panno tied the second most all time in a game, done back in 1981. OSWEGO, N.Y. – The Oswego State women's lacrosse team won an overtime thriller over Oneonta on Senior Day thanks to a Brigid Regin (West Genesee) tally at 1:44 of the extra period. Oswego's victory clinches a spot in the SUNYAC Championship with one conference game remaining on the regular-season schedule. The win also catapults the Lakers past Oneonta and into the No. 4 spot in the standings, which would secure a home playoff game if Oswego holds that position. BUFFALO, N.Y.— Janae Nelson (Elmont/Elmont Memorial) made with 16 saves to backstop Buffalo State to a 9-7 victory over visiting Potsdam today in SUNYAC action. HAMILTON – Colgate returned to winning ways here Saturday, and just in time to send its senior class out on a very positive note. GENESEO, N.Y. – SUNY Geneseo sophomore attacker Hannah Marafioti (Fairport)totaled eight goals and two assists, including the overtime game-winning tally, to lead the Knights to an 19-18 victory over No. 18 Cortland in State University of New York Athletic Conference (SUNYAC) women's lacrosse, Saturday. ONEONTA, NY – Hartwick won for the tenth time this season as it defeated visiting Alfred University 12-4 on Saturday at Wright Stadium. The result seals an Empire 8 playoff spot for the third consecutive season. It also marks the first 10-win season for the program since 2011. ELMIRA, NY – Utica senior John Hanlon (Coconut Creek, FL/St. John Paul Academy) registered seven assists as the Utica College men's lacrosse team cruised to a 20-4 victory on the road at Elmira College in Empire 8 Conference action on Saturday. Hanlon's 28 assists this season are tied for third on the College's all-time single season list. Craig DiSanto (Montebello, NY/Suffern) added five points on two goals and three assists and 12 different Pioneers recorded at least one point on the afternoon. CORTLAND, N.Y. – Ten different players scored goals as the Cortland men's lacrosse team defeated Brockport, 15-7, Saturday afternoon in SUNYAC action at the Stadium Complex. The Red Dragons improved to 11-4 overall and 5-0 in the conference, clinching the regular-season title with one league game remaining. The Golden Eagles fell to 5-7 and 0-4. PROVIDENCE, R.I. – The No. 10 Big Red men's lacrosse team dominated the first half, and then held off a late comeback attempt by Brown on its Senior Day, to defeat the Bears, 12-9, at Stevenson-Pincince Field in Providence. Syracuse, N.Y. – Junior attackman Riley Larson (Fairfield, Conn./Ludlowe) recorded four points to lead the third-ranked Le Moyne College men's lacrosse team to a 10-3 win over Saint Michael's College in Northeast-10 Conference action on Saturday afternoon at Ted Grant Field. Waltham, Mass. – Senior attacker Bryanna Fazio (General Brown) recorded seven points to lead the top-ranked Le Moyne College women's lacrosse team to a 17-2 victory over 21st-ranked Bentley University in Northeast-10 Conference action on Saturday afternoon at Bentley Field. RINDGE, N.H. – The College of Saint Rose outscored host Franklin Pierce 7-3 in the fourth quarter to pick up a 12-11 Northeast-10 Conference victory today. ROCHESTER, N.Y. -- Host Nazareth scored the first 20 goals of the game Saturday as the Golden Flyers cruised a 22-2 men's lacrosse victory over Sage in Empire 8 Conference action. Syracuse plays the Midshipmen at Navy for the first time since 1982 as the Orange seek their first winning streak of four-or-more games since the 2017 season. - The game will be broadcast on CBS Sports Network, with John Sadak (pxp) and Evan Washburn (analyst) on the call. Brian Higgins and Kyle Fetterly will broadcast the action on TK99/105, Cuse.com and the TuneIn App, while WAER will also carry the game. BINGHAMTON, N.Y. - Some big rivalry games in boy's lacrosse tonight. Beginning at Blue Devils Stadium with Class D's #2 Chenango Forks hosting Chenango Valley. As the Buffalo Bandits return to the NLL playoffs for the first time in two seasons, forward Dhane Smith knows there is something different about this year’s squad. Come out and help “Take Childhood back from Cancer” by raising money for St. Baldricks! TD Ierlan (Victor) had a familiar day in a familiar place. The Yale face-off specialist dominated the X, winning 16 of 17 in his return to Casey Stadium in Albany and leading the Bulldogs to a 10-6 victory over the Great Danes. ROCHESTER - An early advantage couldn't hold up as No. 5 Monroe Community College dropped a 12-6 decision to top-ranked Harford Community College in an NJCAA women's lacrosse battle on DiMarco Field Thursday afternoon. Without question, the 6-0 start offered up by the Baldwinsville girls lacrosse team drew some attention outside local circles. For when the first state Class A rankings of the spring were released early last week, the Bees were sitting at no. 2, behind only Chaminade of the Catholic High School Athletic Association, who does not compete in the NYSPHSAA tournament. ALFRED, NY – The Hartwick women's lacrosse team got back on track Friday evening, shutting out Alfred on the road, 21-0, in a game that saw 11 Hawks put forth multiple point efforts. Hamilton College's Henry Hunt '20 tied a career high with six points on four goals and two assists and the Continentals posted a 15-12 non-conference win over the Vassar College Brewers at Vassar's Gordon Field on Wednesday evening. Senior Keara Patterson notched her 400th career point as the Fulton varsity girls lacrosse team topped Syracuse, 21-7. Keara recorded an assist on Emma Weaver’s goal early in the game to achieve the milestone. DEXTER — Jefferson Community College didn’t field a women’s lacrosse team in 2018. This season a mix of longtime area players and ones new to the sport are hoping to rebuild the program. KEUKA PARK, N.Y. – The Morrisville State women's lacrosse team made a statement Thursday evening as they handed host Keuka College a 20-3 loss, ending their win streak at 11 and handing the Wolves their first loss of the year, behind senior Courtney Cavellier's (Souh Jefferson) season high nine points. A six-goal run to start the game propelled Yale to a 10-5 victory over the University at Albany men’s lacrosse team in a non-conference matchup Friday, April 19, at Tom & Mary Casey Stadium. Lacrosse’s September 1 recruiting date will remain. Men’s and women’s lacrosse were removed from a proposal that the NCAA Division I Council passed during their meeting Thursday and Friday in Indianapolis. For most sports, the new rule will permit contact from or to a coach June 15 of a high school student’s sophomore year and will allow prospective student-athlete visits to start Aug. 1. Boys lacrosse results and highlights from Week Five games played the week of April 15th – April 18th. The East Syracuse Minoa girls lacrosse team is now officially past the halfway point of their 2019 spring season and have bounced back from their first two losses last week with a pair of victories this week. Canton, NY – Molly Denny (Souh Jefferson) and MaryClare Bowes (Irondequoi) combined for 16 points as the SUNY Canton women's lacrosse team cruised to a 17-1 victory v. Elmira College in non-conference action on Thursday. With the win the Roos improve to 11-3 on the season and tie the single-season wins mark joining the 2016 team that finished the season 11-5. South Jefferson came out on top of a boys' non-league lacrosse contest Thursday. The Spartans defeated Rome Free Academy 10-8. Highlights are in the video. BATAVIA, NY… The no.8 Genesee Community College men's lacrosse team earned their third home victory of the season after a 20-2 victory over the Tompkins Cortland Community College Panthers Thursday afternoon. The good news for the Rochester Knighthawks is that they are on a season high game three-game winning streak and now have a record of 5-11. The bad news is that they are officially eliminated from the playoffs with New England (8-8) claiming the fourth and final playoff spot in the East Division. With 0:17 left in the first overtime period, senior midfielder Noah Germano scored to give the Warriors a 14-13 victory over Wayne. Josh Hauman led Schroeder with 5g-2a and Cole Bolin added 3g-2a. Andy Hamel (5g-1a) and John Reagan (2g-5a) led the Wayne offense. Wayne was the last undefeated team in the section. There were five scheduled games tonight with four scores reported. Canandaigua defeated Spencerport 8-6 in the closest match-up. Hilton defeated Wayne 17-1 and in out of town matchups, Pittsford defeated Vestal 17-6 and Rush-Henrietta defeated West Genesee 14-9. The South Jefferson girls lacrosse team lost to Conestoga (Pa.), 14-5, in a nonleague game at the ESPN Wide World of Sports Complex in Orlando, Fla. Megan Whitley scored a pair of goals for the Spartans (4-3) and Mia Buckingham, Natalie Strough and Savannah Fish scored a goal each. NISKAYUNA — With a spree of goals early on and another significant run soon after, Niskayuna displayed its quick-strike ability in the first half of Thursday's Suburban Council girls' lacrosse game with Guilderland. (First Aired 1 year ago) A native of Metro Baltimore, Frank Kelly is the founder the Fellowship of Christian Athletes (FCA) lacrosse ministry. He talks about his family and the early years of that vision and how the ministry has grown since the mid-1980s from a lacrosse camp with less than five campers to a summer camp today with over 500 boys and girls and counselors from lacrosse playing colleges throughout the country. Onondaga County Community College’s Men’s Lacrosse team is using their championship mentality to help others. The team, who’s won 11 national championships including the last two, is turning their game against Hudson Valley into a fundraiser to support breast cancer calling it “Lazers for the Cure”. William Smith College sophomore goalie Olivia Hofmann was named the IWLCA Defensive Player of the Week yesterday. She was named the Liberty League's Defensive Performer of the Week on Monday. The Athletics Department at SUNY Potsdam is accepting on-line applications for a Graduate Assistant / Assistant Men’s Lacrosse Coach. Responsibilities include assisting the head coach with strategic recruiting, coaching scouting, supervision of team travel, budget planning, marketing, and monitoring academic progress and success of student athletes and other duties as assigned. POTSDAM, N.Y.—The SUNY Potsdam women's lacrosse team (5-9) scored a season-high 20 goals in a 20-12 drubbing of NEAC-leading SUNY Poly (9-4) on Wednesday. The Canisius men's lacrosse team will be doing its part to help in the fight against pediatric cancer when it hosts Marist in its regular-season finale at the Demske Sports Complex on April 26. A big third quarter and a balanced offensive attack helped the Baldwinsville boys lacrosse team run away from visiting Cicero-North Syracuse Thursday afternoon and finish with a 15-6 victory. West Genesee coach Shaun Smith was facing his former team for the first time since being named the Wildcats lacrosse coach last summer. After spending 19 years coaching Corcoran and recently the Syracuse city schools team, Smith was on the West Genesee sideline. Section II athletes are leading the charge for the Syracuse women’s lacrosse team. The team, which is 14-3, is being led by great defense from Asa Goldstock, a Niskayuna native, who has 116 saves on the season, including a season-high 12 saves on March 13 against Florida. Ballston Spa boys lacrosse saw Saratoga Springs storm back and score three goals late to tie the Suburban Council tilt in regulation and its tally in the first four minute session was eventually whistled no-goal as the flag was thrown at the other end, but no whistle was sounded and play continued. While Native Americans originated the game of lacrosse, many children in reservation communities today have never touched a stick. Native Vision, a sports and life skills program led by the Johns Hopkins Center for American Indian Health, is working to change that in partnership with indigenous players and mentors from the lacrosse community. The NCAA released its first women’s lacrosse regional rankings for Division II on Wednesday, with West Chester, Le Moyne, Regis, and Florida Southern claiming the top spots in the four regions. The rankings reflect game results through April 14 and include the top six teams in each region. 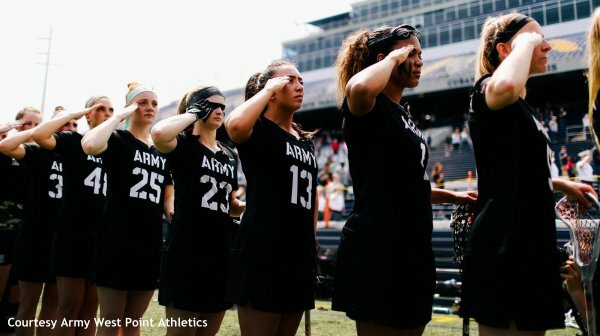 WEST POINT, N.Y. – History was made on Wednesday night when the Army West Point women's lacrosse team clinched a spot in the Patriot League for the first time in program history. Charlotte, NC— The NJCAA has announced upcoming locations for the NJCAA Women's Lacrosse Championships. Onondaga (NY) was selected to host the event in 2020 and 2022 while Monroe (NY) will entertain the national championship in 2021 and 2023. CHAPEL HILL, N.C. — Danny Varello can’t say it’s been easy. Syracuse repeated — again and again — it wouldn’t neglect the depth of its faceoff unit, and head coach John Desko said he would “ride the hot hand” of the “two-headed monster.” And then Jakob Phaup became a top-five faceoff specialist in the country. The “hot hand” most often was him. When Phaup is in a rhythm, why stop him? CLINTON, N.Y.-William Smith sophomore goalie Olivia Hofmann made a career-high 17 saves as the Herons rallied to defeat Hamilton 7-6 in a non-conference contest on Withiam Field this afternoon. With its 11th straight victory, William Smith is now 13-2 overall this season. Syracuse, N.Y. -- With each ringing of the post, the feeling of déjà vu grew stronger on the Syracuse women’s lacrosse sideline Tuesday night. Canisius erased a five-goal deficit in the second half to earn the come from behind victory over Battle of the Bridge rival Niagara, 12-11, in Metro Atlantic Athletic Conference action Wednesday night from the Demske Sports Complex in downtown Buffalo, N.Y.
UTICA, NY – Kainen Francis-Thompson (Massena), David Demand (Chittenango), and Sam Ferguson (Baldwin, NY/Baldwin) combined for 12 goals and five assists and keeper C.J. Alesandrini (Colonie) stopped 16 of 19 shots on target as Hartwick rolled to a 14-3 victory at Utica College on Wednesday at Charles Gaetano Stadium. ONEONTA, NY- Junior Kaitlynn Palmer (VVS) netted the game-winning goal with 3:04 remaining in the second overtime to lift the Utica College women's lacrosse team to a thrilling 10-9 victory over host Hartwick College in Empire 8 Conference action Wednesday afternoon. CORTLAND, N.Y. – The Cortland men's lacrosse team held Ithaca to one goal in the second half to pull away from a tight game in earning a 12-5 victory Wednesday night in non-conference action at the Stadium Complex. The Red Dragons improved to 10-4 with the win, while the Bombers fell to 8-5 with the loss. This story appears in the April 22–29, 2019, issue of Sports Illustrated. After a close first quarter, Fairport scored three unanswered goals in the second and three more in the last quarter to achieve a 7-2 win at Penfield. In a continuation of a slow break week, there were two games played today. Irondequoit defeated Saratoga Springs 10-3. The score for Penn Yan vs. Seton Catholic is still outstanding and will be updated when reported. CORNING - A strong fourth quarter that included a superb defensive effort and timely scoring propelled Corning to its seventh win in a row Wednesday at home against McQuaid Jesuit by a score of 7-5. Onondaga Community College’s Men’s Lacrosse will be hosting the first annual “Lazers for the Cure” event this Saturday. All proceeds will benefit the Carol M. Baldwin Breast Cancer Research Fund. TONAWANDA, N.Y. – The Morrisville State men's lacrosse team pulled their overall record to 6-6 Wednesday afternoon as they handed host Hilbert College a 24-15 North Eastern Athletic Conference (NEAC) decision in Tonawanda, improving their conference slate to an unblemished 5-0. Alfred, NY – The SUNY Canton men's lacrosse team outscored host Alfred State by nine after intermission to earn a 16-6 win in non-league action on Wednesday. Only in her second varsity season, the 14-year-old Lescault has already developed into one of Section II’s top players. Heading into Thursday’s Suburban Council game against Averill Park, Lescault has registered a team-leading 40 points on 29 goals and 11 assists in leading the Spartans to a 3-3 start. Redshirt freshman Kaitlyn Dowsett provided the punch on offense on a day where goals came early and often as the Siena Saints women's lacrosse team concluded their 2019 regular season with an 18-10 win over the Marist Red Foxes on the road in Poughkeepsie. Dowsett would score five times with two assists for a team-leading seven points in the victory. NEW PALTZ, N.Y. – Juniors Brie Yonge (Penn Yan Academy) and Molly Newton (Skaneateles) each eclipsed 100 career points as the nationally 18th-ranked Cortland women's lacrosse team defeated New Paltz, 21-6, Wednesday afternoon in SUNYAC action. The Red Dragons improved to 9-4 overall and 6-0 in the conference. The Hawks dropped to 8-5 and 4-3. Some may look at a 2-6 record and be disappointed. For the Lewiston-Porter girls' lacrosse team, however, they are reaching new heights. Following winless seasons from 2016-2018, the Lancers have won two games in a week's span, defeating Salamanca and Griffith Institute. OSWEGO — Dan Doviak and Ryan Wood each had three goals as the Oswego varsity boys lacrosse team came from behind to defeat East Syracuse-Minoa, 10-9, on Tuesday. HOMER, N.Y. — The Homer Trojans defeated the Tully Black Knights, 15-4, Tuesday afternoon to improve to 2-3 on the season. #Repost @uslacrossemag with @get_repost ??? ????'?? ???????? ???????? ?? ? @usa_wlax and pro lacrosse player @mtumolo35 shares her tips to trick out your game in a How-to series.? ? PART 1?? : How to complete a between-the-legs contested ground ball pickup.? ? Check out the rest of the series at uslaxmagazine.com. ?? When you graduate from the Gary Gait school of lacrosse as Michelle Tumolo did, even the most mundane exercises require a touch of ingenuity. Tuesday night, Syracuse honored its seniors on the Carrier Dome turf. They were celebrated for their last four years of accomplishments. But, on 2019’s Senior Night, it was the younger players, the first- and second-year standouts, that made the game’s biggest impact. Nakamura is a native of Fukuoka, Japan and a Business Administration major at Onondaga Community College. He is also a two-time national champion having played for the Lazers Men’s Lacrosse team during its undefeated 2017 and 2018 seasons. The Skaneateles girls lacrosse team had it all going on today. In rolling to an 11-3 victory over Chrsitian Brothers Academy, the visiting Lakers were patient on offense, controlled the Brothers in the defensive end and got 9 saves from junior goalkeeper Ioanna Christou. Fayetteville-Manlius (4-1) continued its winning ways Tuesday night, as the Hornets left Corcoran High School with a 14-4 win over Syracuse (4-3). Buffalo, NY - The D'Youville women's lacrose team had a convincing win over the Alfred University Saxons on Tuesday evening, winning in blowout fashion by the final score of 21-4. Golden Eagles Snap Three Game Slide With Gritty Win Over Alfred U.
BROCKPORT, N.Y. – The College at Brockport men's lacrosse team defeated Alfred University Tuesday afternoon, by a score of 9-8. With the win, the Golden Eagles move to 5-6 on the season, while the Saxons fall to 8-4. Joel White found himself with a chunk of plastic in his hands on a field in Netanya, Israel, with a USA logo brandished on his chest. It was June 2018 and White couldn’t believe it. Lacrosse — the sport that carried him from Cortland, to the Carrier Dome, to across the continental United States — had now brought him to the Middle East. POUGHKEEPSIE, New York – Marist men's lacrosse won its final regular season home game with an 11-5 victory over St. Bonaventure. With the win, Marist improves to 7-5 overall and clinched a spot in the MAAC tournament. S. Joe's leads the Buffalo area Top 10. There were two games scheduled and only one and a half played today. At Canandaigua Academy, the Braves went right to work . . . There were five more games tonight in the 2nd day of break week. Mercy's 14-13 overtime win vs. Victor was the closest match-up of the night. TD Ierlan still thinks about the decision he made to leave the University at Albany for Yale, but he doesn’t second-guess it. How will it feel for the former UAlbany men’s lacrosse star, though, to play for Yale at Tom & Mary Casey Stadium on Friday night? In rolling to an 11-3 victory over Chrsitian Brothers Academy, the visiting Lakers were patient on offense, controlled the Brothers in the defensive end and got 9 saves from junior goalkeeper Ioanna Christou. The Bloomfield-Honeoye boys lacrosse team prevented a full Gates comeback in the second half to win 13-9 at home. The second ranked Lazers defeated fourth ranked Anne Arundel on Sunday, 18-12. With the win Onondaga moves to 4-1 overall and 2-0 in regional play. The path to professional success is one that is usually lined with obstacles that one must overcome to reach their goals. This rings especially true for first-year Knighthawk goaltender Warren Hill, who has recently taken advantage of an expanded opportunity. Buffalo Bandits captain Steve Priolo has had quite the career so far. The St. Catherines, Ontario native is in his 10th season with Buffalo and will already go down as one of the best defensemen in franchise history. The Redwoods LC defense is loaded with Notre Dame alumni. Close defensemen Matt Landis, Garrett Epple and Eddy Glazener; long-stick midfielder John Sexton; and short-stick defensive midfielders Jack Near and Nick Ossello will bring the college game’s best help-and-recover scheme to the professional ranks this summer. That spells bad news for most offensive players -- except Kevin Rice (Skaneaeles). Baltimore, Md. — Under Armour, in conjunction with Corrigan Sports Enterprises and Inside Lacrosse, is thrilled to announce the second wave of 11 boys who have been selected to compete in the 14th-annual Under Armour All-America Lacrosse Game on June 29 at Johns Hopkins University’s historic Homewood Field. All times are Eastern (U.S.), unless otherwise noted. All times and details are subject to change.  Allegheny Mt. Collegiate Conf.